SYDNEY: Thousands of Sydney homes were without power Saturday after severe storms hit Australia’s largest city, causing transport hold-ups, inundating vehicles with floodwater and delaying a national football match. Heavy rains and lightning storms lashed parts of Sydney late Friday, with close to 60mm (nearly two and a half inches) of rain falling in some areas. 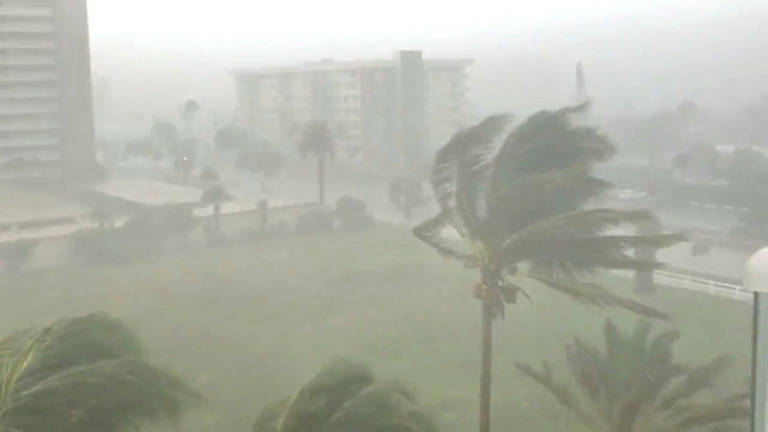 “It was a slow-moving storm with that warm humid air moving along the coast ... that allowed for that increase of moisture,“ Byron Doyle from the New South Wales Bureau of meteorology told AFP. The rescues were “all for vehicles in flood water,“ a New South Wales state emergency services spokesperson told AFP.